If you’re waiting for Google+ to launch for the general public as I am, then here’s even better news if you’re an entrepreneur, startup business, or established business brand. They’re building some serious features to benefit business brands separate from the standard features for individual user profiles. They’ve already put out a video and accompanying posts warning brands not to create brand profiles. They’re strictly enforcing this message before the official launch and while Google+ is still in testing stage. 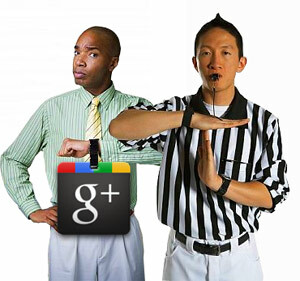 All existing user profiles being used as brand or Google plus business profile will be deleted without exception. Google put out the announcement this week to prevent wasted effort by businesses, but in that same post it told brands there’s something much better in store for them on Google+. It seems Google’s done it’s research and is leaving nothing up to chance. Studies conducted by Forrester research in 2011 showed that most individual users 12 to 17 years old don’t want to mix their social media experience with brands and businesses. Those 18 to 24 are much more receptive however to friending business brands with personal ones. The single great benefit is, Google intends to create a better experience for your startup or small business on Google+ than what Facebook offers on its social network. There currently isn’t any accurate way to measure your business marketing progress on Facebook or other major social networks aside from broad estimates provided by social media marketing and SEO tools. Google+ however will be able to include it’s popular SEO metrics tools into the Google+ experience, meaning your Google Adwords, Adsense, and Webmaster Tools will be right there in your social brand marketing campaign. Google+ aims to create a unique experience for your business brand using your existing google username or a new one created specifically for business purposes. A Google spokesman said, “How users communicate with each other is different from how they communicate with brands,” meaning they don’t want to mimic the user/business experience on Facebook, they want to make it better, more efficient and ultimately more profitable for your business brand.